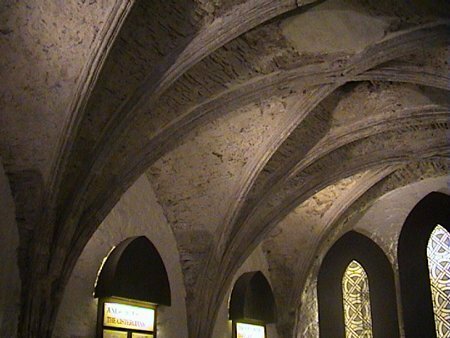 In the early 1880s, seven feet beneath street level, the Chapter House of St Mary’s Abbey was rediscovered under a bakery. 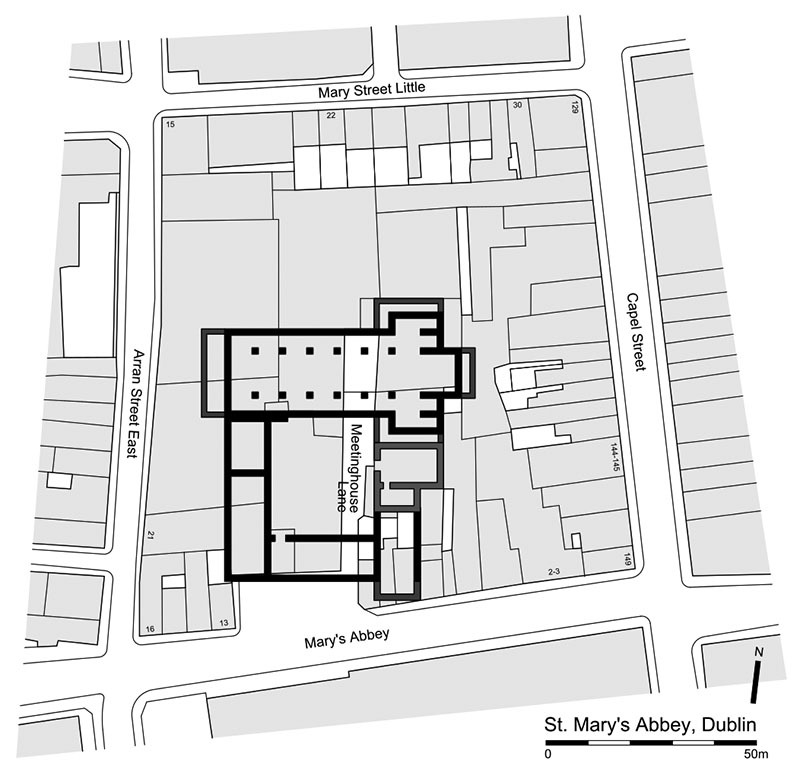 St Mary’s was a large Cistercian Abbey founded by the Benedictines in 1139. It was dissolved in the 1530s and then fell into disrepair – its previous existence reflected in surrounding street names. 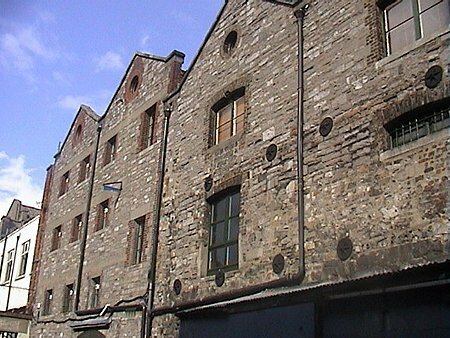 After that the stones from the building were plundered for use elsewhere, with some stones being used in the construction of Essex Bridge. 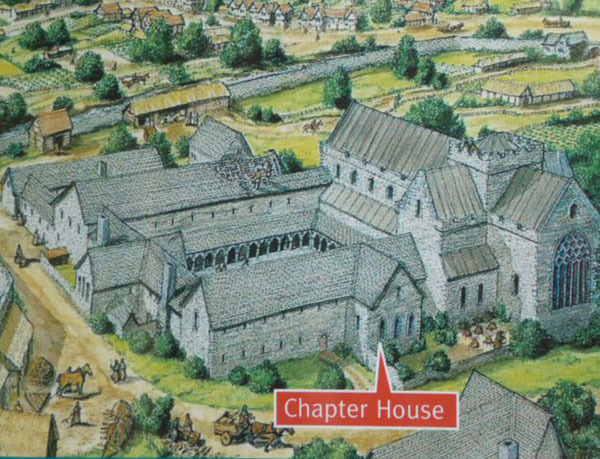 The Chapter House is the sole remaining part of the complex and dates from 1190. It used to be possible to lease it for meetings and it was here at a meeting of the Privy Council in 1534 that Silken Thomas Fitzgerald started his rebellion against the king. After hearing of his fathers execution, he flung down his sword of state and marched out to raise an army. Subsequently it transpired that his father had not been executed. 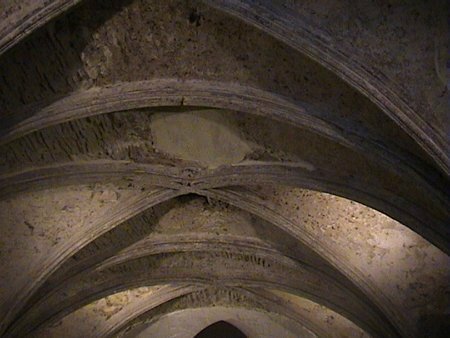 The Chapter House consists of a simple vaulted chamber with single light gothic windows in the west façade, now obscured by large clumsy light fittings mimicing windows. 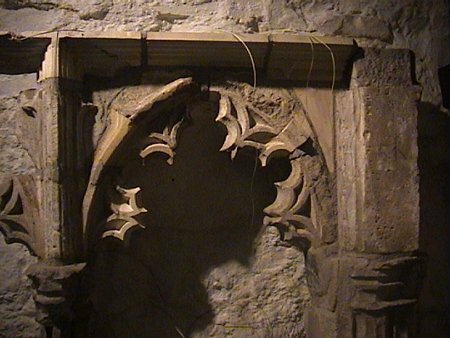 In 1976, the stones of a section of cloister was excavated on a building site on Cook Street. It is believed that they were removed there at the dissolution. The section has been reassembled and can be seen above.